A ramble around the several trails in the scenic Goose Pond-Sugarloaves area on the west side of Newfound Lake. 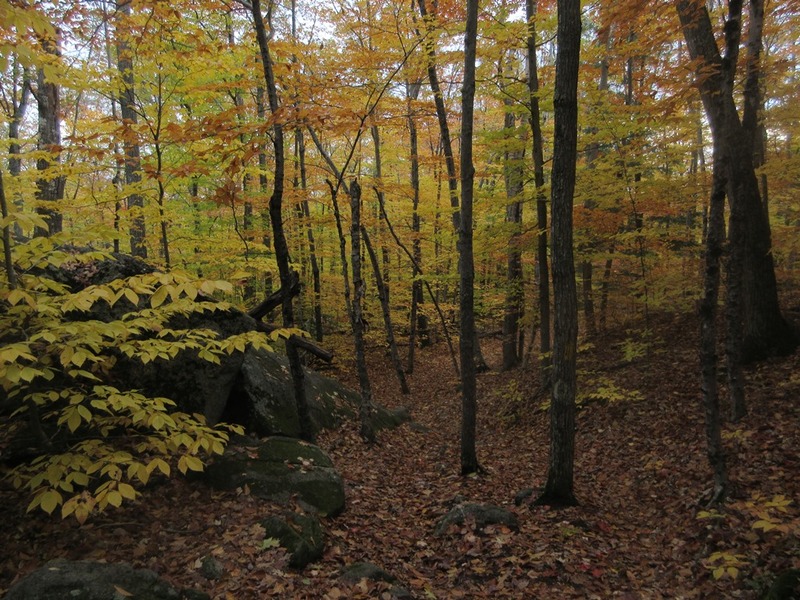 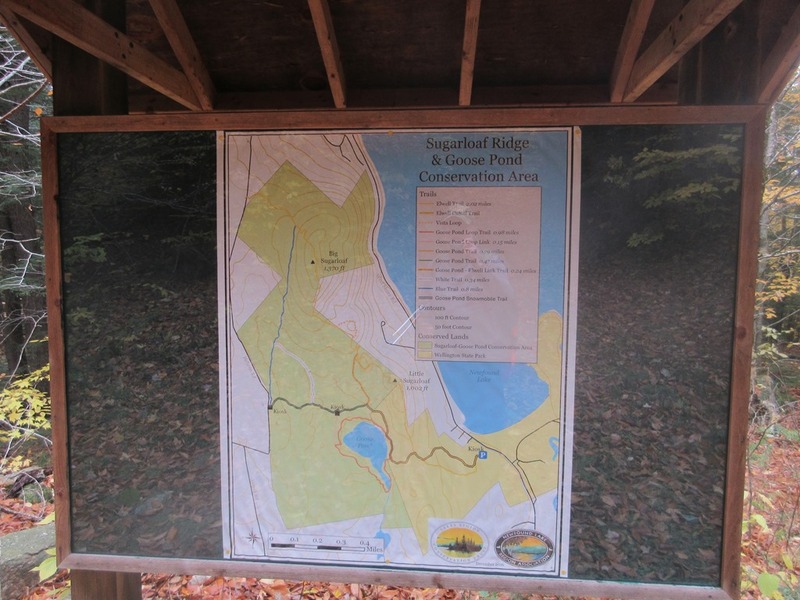 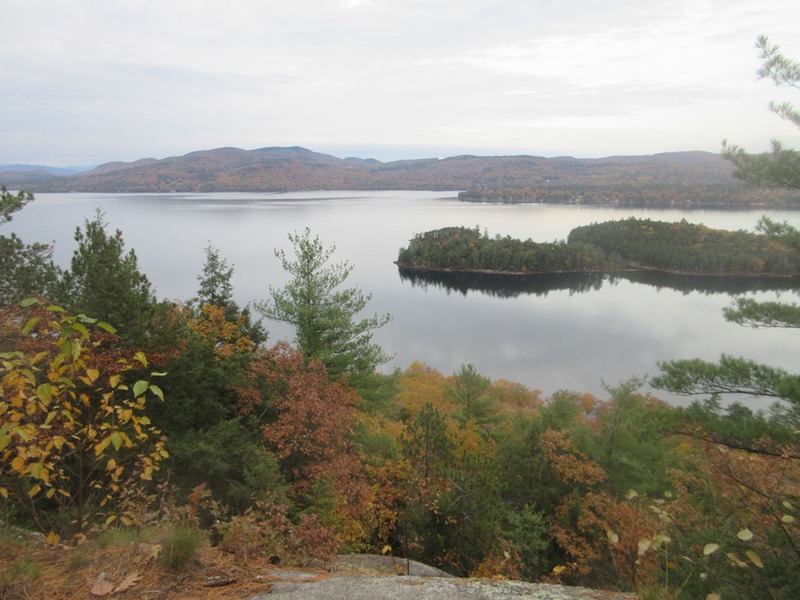 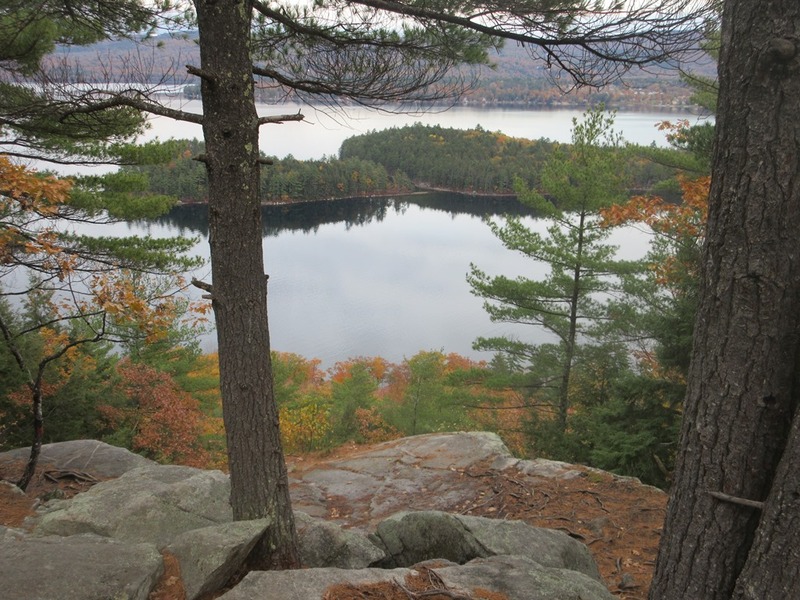 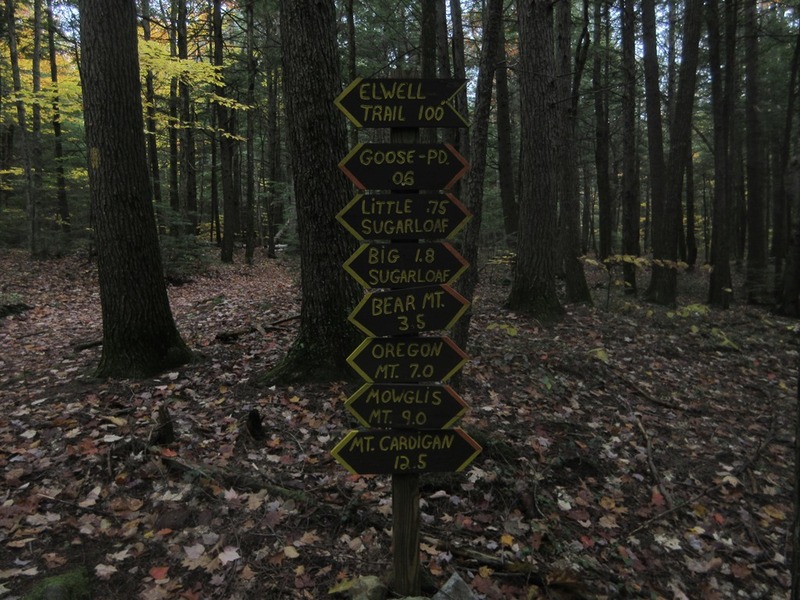 The trails here are in Wellngton State Park and on the 418-acre Goose Pond-Sugarloaf Conservation Area, owned and managed by the Lakes Region Conservation Trust. 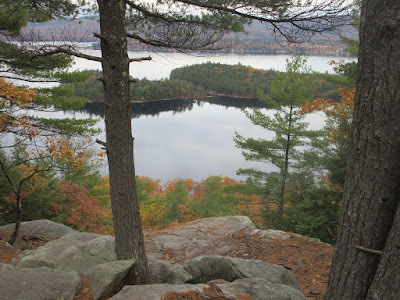 The pond and the 'loaves are fine destinations for short hikes in the 2 to 4 mile range. 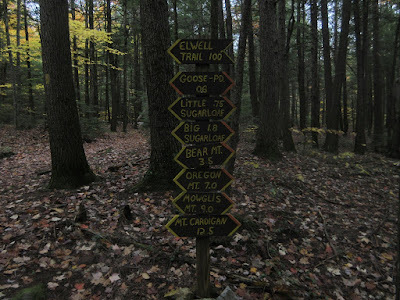 The trailhead for this area is a parking lot on West Shore Road, at the start of the Elwell Trail - a lengthy footpath with many destinations. 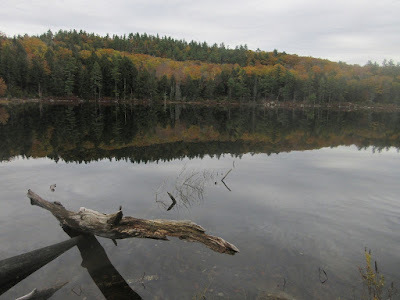 Goose Pond, from a peaceful spot along the Pond Loop Trail. 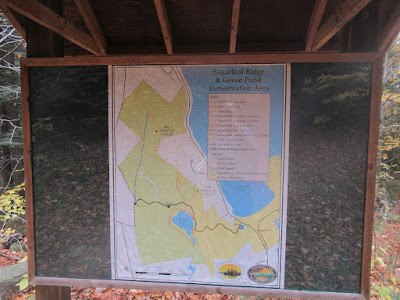 Trail map at an LRCT kiosk at a trail junction. The start of the Backwoods (Blue) Trail, one of several routes that follow old woods roads. 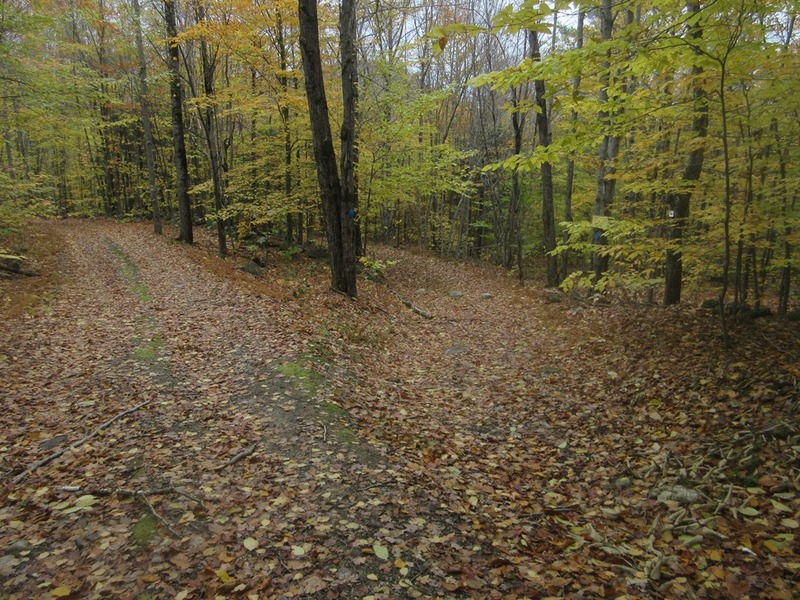 Some double as snowmobile trails in winter. 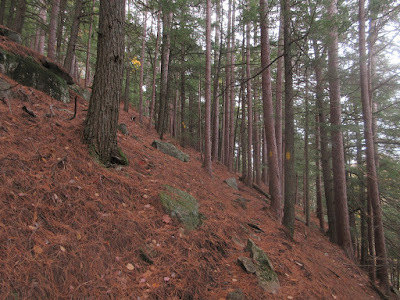 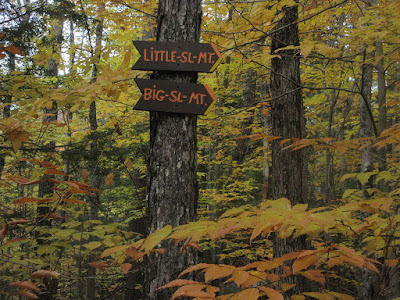 On the north side of Big Sugarloaf, the Elwell Trail climbs steeply through a beautiful open forest of red pine and hemlock. 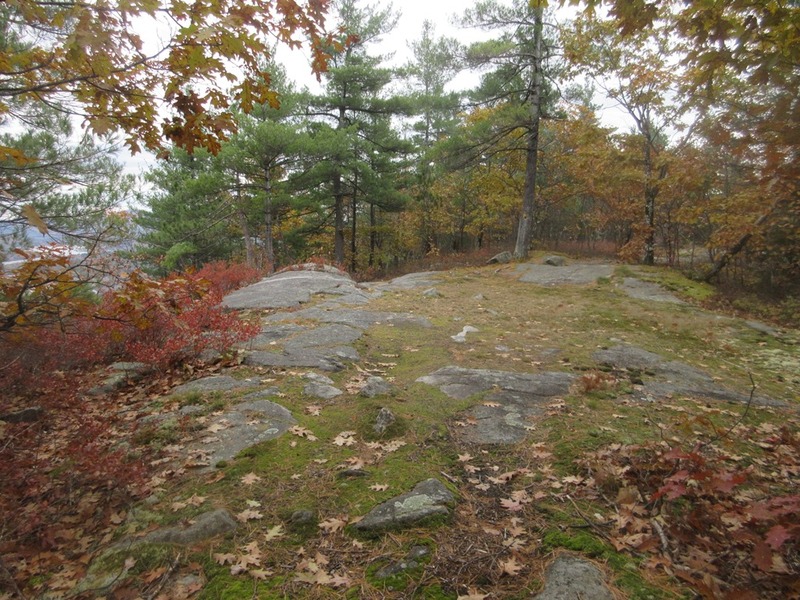 The flat, ledgy summit of Big Sugarloaf (1370 ft.). A clifftop perch near the Elwell Trail, south of the summit. Bird's eye view of Goose Pond. 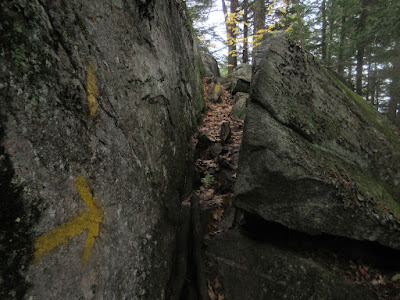 Rock crevice on Elwell Trail between the two Sugarloaves. 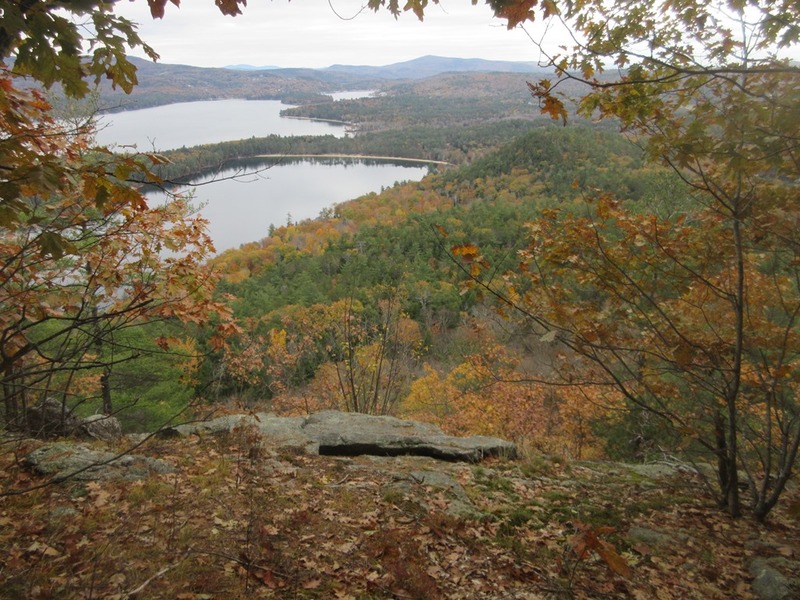 Prime perch at the summit of Little Sugarloaf (1002 ft.). 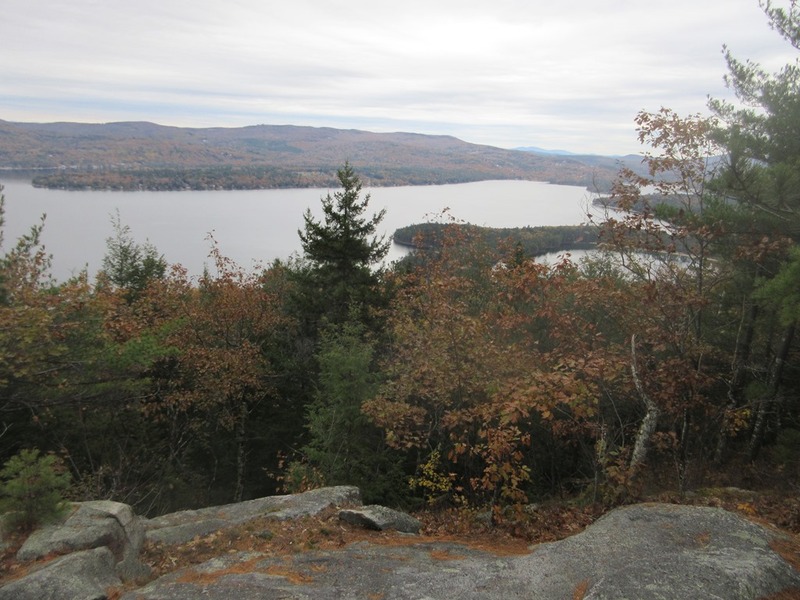 Nice vista over Newfound Lake. 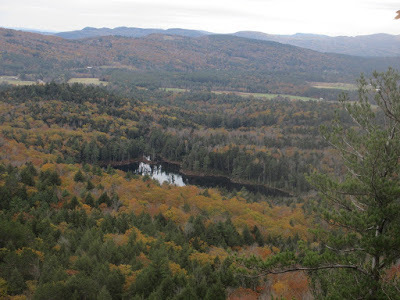 The Franconia and Twin Ranges can be seen in the distance from this spot.